The following is a guest post. If interested in submitting a guest post, please read my guest post policy and then contact me. Age is relative. We are told that 60 is the new 40, and we read stories about how people are finding a new lease of life in their later years. This may be because people are adapting to living for longer. The Office for National Statistics has recently released figures revealing that people are living for longer. It has been suggested that the number of centenarians is due to rise from 14,000 in 2013 to 111,000 in 2037. That’s a lot of old people. This longevity and the fact that the government has rescinded the default retirement age, means that people can carry on working for as long as they want to. According to research, more people than ever are delaying retirement. This research reveals that a third of over 50s expect to delay their retirement. This is compared to a quarter of individuals during the previous year. That equates to a 15% increase. The ONS have also re-established the popular belief that women outlive men. There are now 77,000 women expected to become centenarians in 2037, compared to 34,000 men. This appears to be reflected in the 16% increase in the number of women delaying retirement, compared to a 6% increase in men. In regards to work satisfaction, the careers that are seeing more employees staying on past retirement are trade work, office work and health and care work. And in terms of location, it is the South West rather than the South East where people are working for the longest. It is questionable whether people are staying on due to financial reasons, or the simple fact that they want to carry on their career. When asked about their feelings on working past the age of 65, 31% of men and 29% of women say they have come to terms with it. 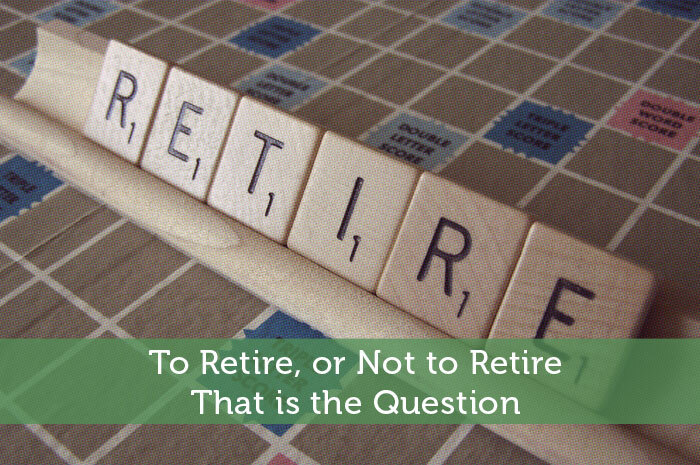 Once you do make the decision to retire, there is the question of income. If people are working for longer, they will be accumulating more funds to use. One of the most popular ways to make the most of your pension pot is through an annuity. However, it has been brought to light that a number of retirees are not making the most of this additional funding. 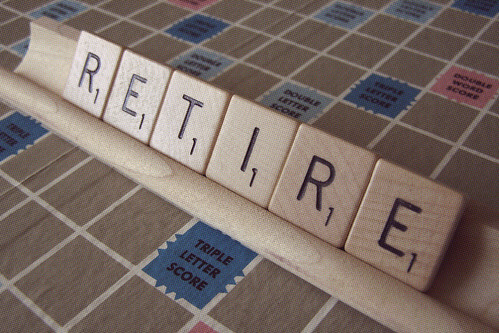 Research reveals that a mere 35% of over 50s plan to shop around for their annuity. Annuities have recently come under scrutiny in a study conducted the Financial Services Consumer Panel. The study revels that many annuity providers have hidden charges that are not made clear to consumers due to a lack of transparency and the overuse of jargon. These findings correlate to the people that bought an annuity over the past last two years. Only 60% of these individuals admit to shopping around for the best deal. If you are planning to work for longer, and by doing so accrue a larger pension pot, it is imperative that you get the best deal to ensure you get the best income during your retirement. Considering the fact that more and more people are complaining about the mis-selling of PPIs and other financial products, shopping around for nice deal may not be a suitable option. Everyone considering to build a retirement pot need to balance the benefits with the costs.. often so called high return products carry a higher degree of risk. My best option will be to invest in low risk pension products rather than chasing the higher return.. save more.. that should be the idea and little interest or return should be considered as a bonus when one is contemplating on building the retirement pot. The risk level certainly plays a bigger factor when your savings are something as crucial as retirement. Depending on your age though it is fine to take on some level of risk. Still it may be best to diversify that risk with some safer options. If you go too safe you might not be making much more than inflation. For me, I would retire as soon as possible to enjoy the rest of my life with my family, but before that I want to be financially-free first. Retiring early does sound awfully appealing, but you have to balance that with things like how comfortable you want your retirement to be and how much you want to help your family financially. So you do have to decide on your priorities when it gets to that point. If someone enjoys the work, more power to them if they want to stay a little longer. However, my question to them would be, “aren’t there things you could do to stay engaged in life besides work?” While some stay because they truly enjoy the work, my experience has been that many people stay longer in the workforce than desired because they are not financially ready to retire…and convince themselves a little that they are staying because they like working. You would think people would be able to find something more enjoyable to do with their free time, but that is not always the case. I know I often see seniors making daily trips to the grocery store and other errands in an attempt to get back some of the social activity they would have at their jobs. It probably is true that finances are usually the more pressing factor. Great post, we all know why we work, the basic target working longer is to accumulate good amount by the time one retires & if they purpose is fulfilled through better schemes or measure, then why would anyone would work for long rather they will give chance to the new generation once they retire from the position. I don’t anyone considering retirement is doing so in order to give the younger generation a chance. I’m sure that’s the last thing on their mind. Instead the decision is likely more about how comfortable they feel about their finances and whether they can find things to fill their days to stay happy.